To continue the tradition started last year – the following are my 10 top wildlife highlights of 2009 – listed chronologically. 1. Watching a Golden Eagle at close range as it sat on the top of a power pole across the road from where we were parked on a back road south of Moriarty, NM. 2. 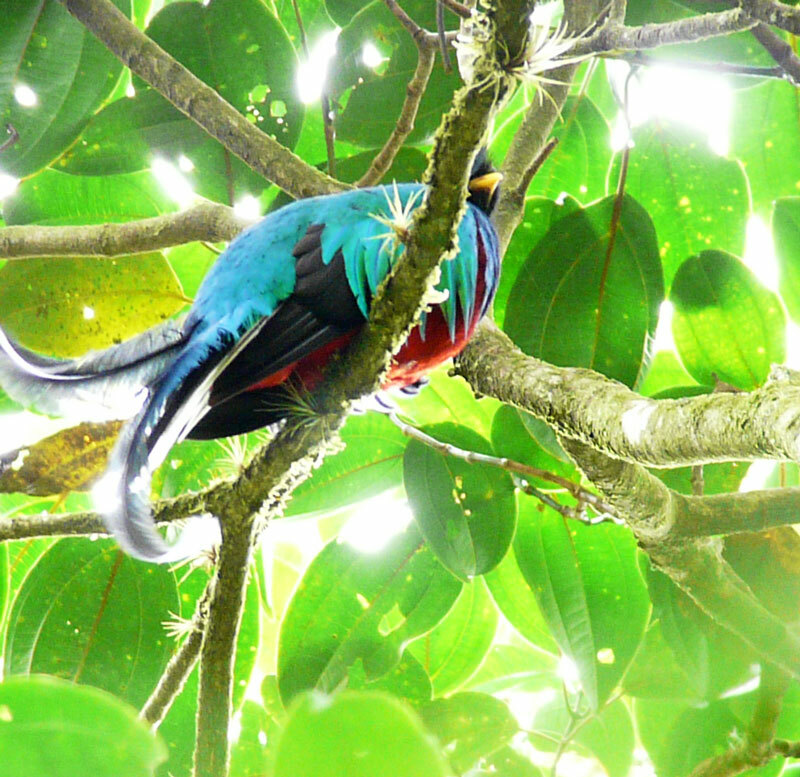 It was hard to choose which of the birds and mammals in Costa Rica were most memorable. I decided the bird had to be the Resplendent Quetzal because of its brilliant colors, and the White-faced Capuchin Monkey takes top mammal billing. 3. 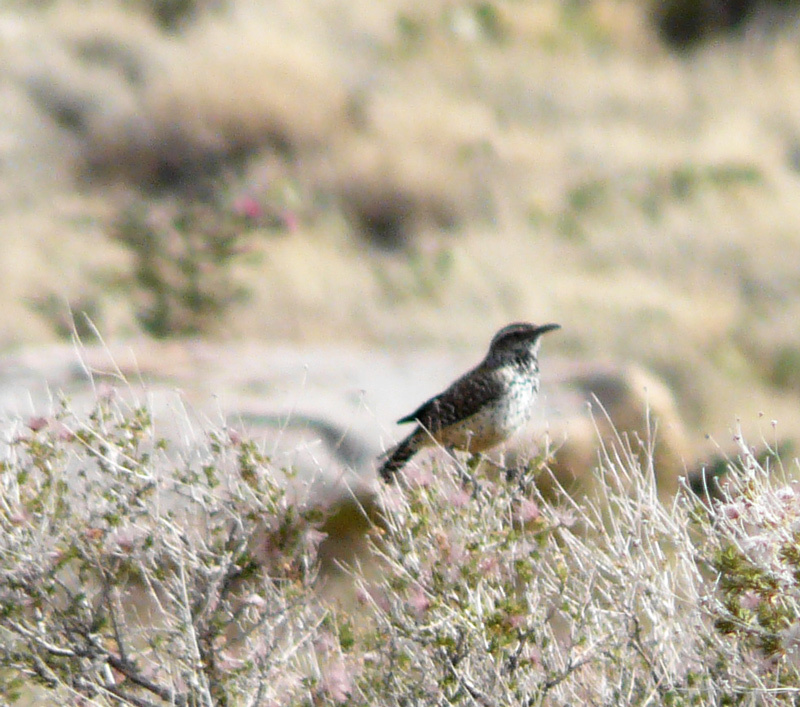 Cactus Wrens in the Sandia foothills – spring nest-building and fall roost nest-building. 4. Watching the flocks of White Pelicans circle over the Bosque del Apache NWR during spring migration. 5. Watching Painted Buntings with their multi-colored, iridescent plumage visit the feeders at Los Maples State Park in the Texas Hill Country. 6. Having two Clapper Rails copulate right below me as I walked along the boardwalk on South Padre Island, Texas at dusk. 7. A Scott’s Oriole that landed on a bush near where I was exploring the Copper Trailhead Open Space doing research for the book I am co-authoring – Birding Hotspots of Central New Mexico. 8. 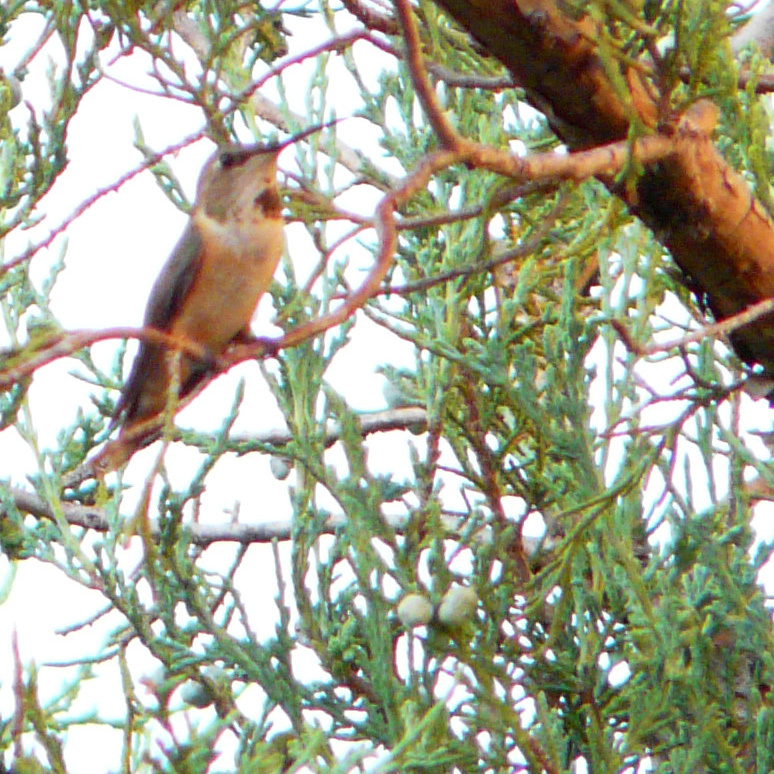 The Rufous Hummingbird that set up a migration territory in my yard for a week in September. 9. Avocets and Black-necked Stilts in the Los Angeles River. 10. Evening Grosbeaks – at a feeder in the Jemez Mountains, feeding young at Capulin Spring and a flock gorging on berries observed on the Christmas Bird Count. I’ve been trying to attract Rufous hummingbirds to my yard. Are there any specific feeders you recommend? So far, I found Perky-Pet’s Top Fill feeders. Have you heard of them? They’re probably the easiest to fill and clean.